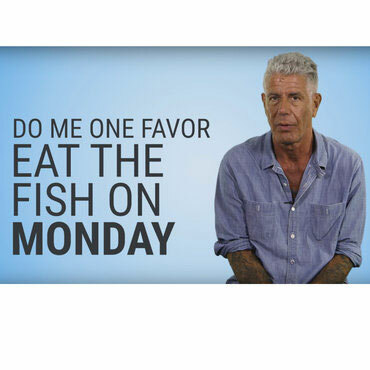 This week, in a stunning reversal, Anthony Bourdain has revealed that it is OK to order fish at your favorite restaurants on Mondays. It's been nearly two decades since his fish decree from the 2000 bestseller Kitchen Confidential : "I never order fish on Monday, unless I'm eating at Le Bernardin—a four-start restaurant where I know they are buying their fish directly from the source. I know how old most seafood is on Monday—about four to five days old!" Bourdain goes on to explain the restaurant supply-chain, how chefs order fish on Thursdays for Friday delivery, and leftovers are farmed out to unsuspecting customers on Monday—"It's merchandising night, when whatever is left over from the weekend is used up, and hopefully sold for money," he writes. Thus, the celebrity chef scared an entire generation of fish-eaters from eating seafood on Mondays. In a video interview with Tech Insider, he says: "Do me one favor, people, eat the fish on Monday. That was 16 years ago, it was a very different world." "I was writing about the only world I knew, which was New York City markets at the time," he says. 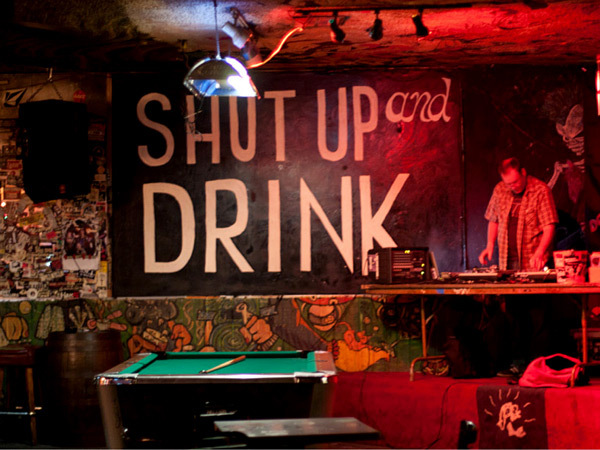 "I'm not suggesting that you go to Monday at the local fake Irish pub and they're running a mussel special—maybe that's still not such a great idea. But it's a better world, you know, we have higher standards, we know more about food, we expect more of our food. Just the variety of fish we want to eat in restaurants, and are open to eating, the way we eat, the temperature at which we eat it, has completely changed." So yes, it's finally safe to start eating fish in restaurants on Monday again! Go forth and filet it up.